Our Closer to Nature Digital Bath and Room Thermometer provides fast and accurate temperature measurement to help keep baby comfortable during bath and sleep time. Uniquely designed in the iconic tommee tippee star, the thermometer is styled to fit with your nursery or bathroom decor. The thermometer is suitable for measuring the temperature of baby’s room and bath. 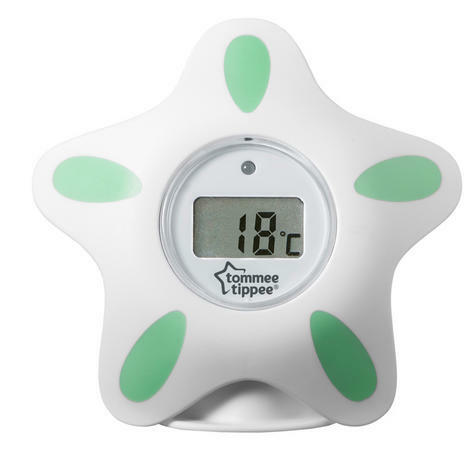 For baby, the optimal room temperature is approximately 18°C while the optimal temperature for baby’s bath is at body temperature, between 36.5°C and 38°C. 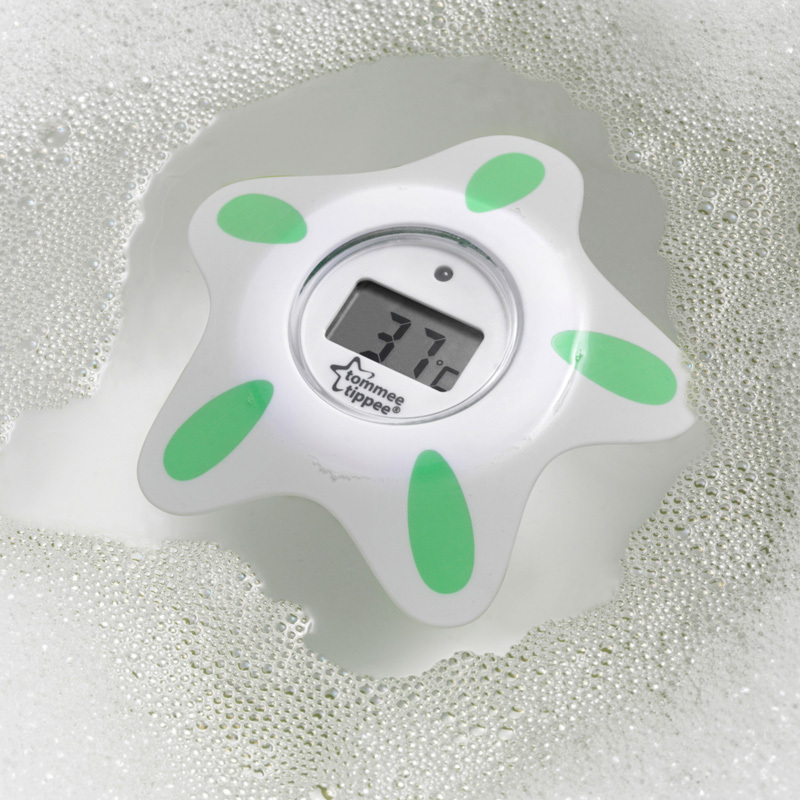 Warning light when bath is too hot - The LED warning light on the display panel will illuminate red when the water temperature is above 39°C and too hot for baby. 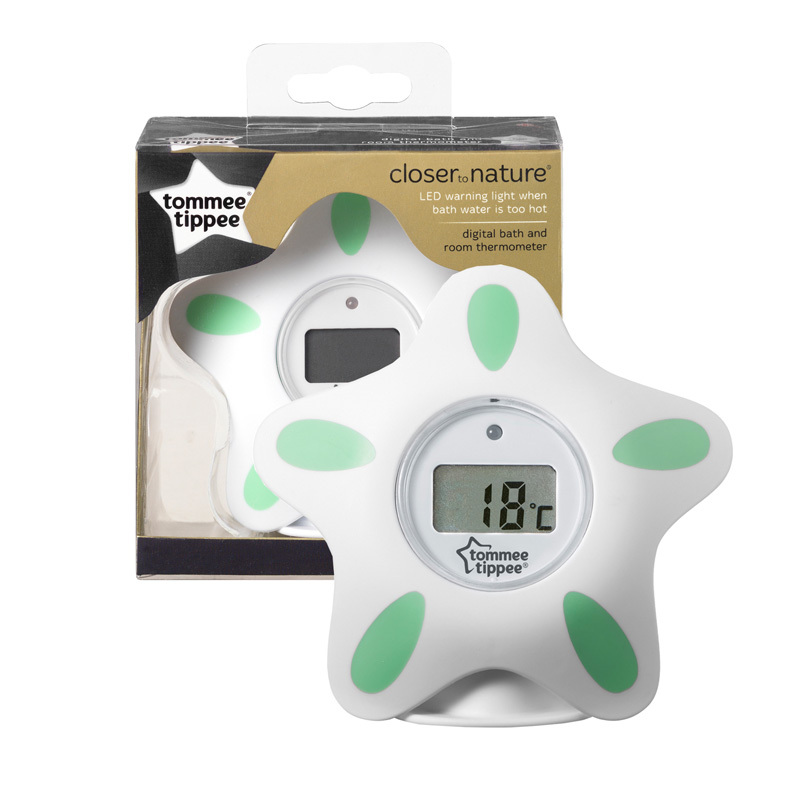 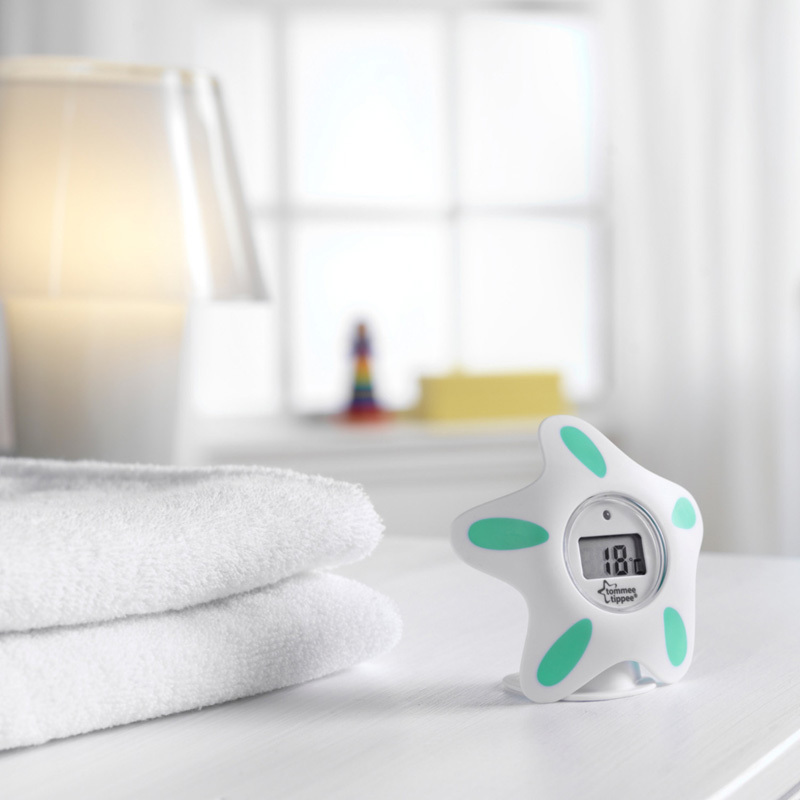 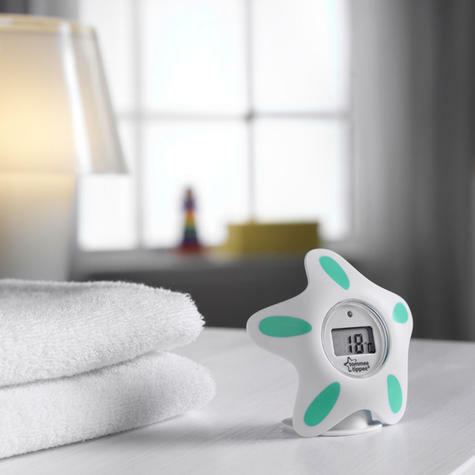 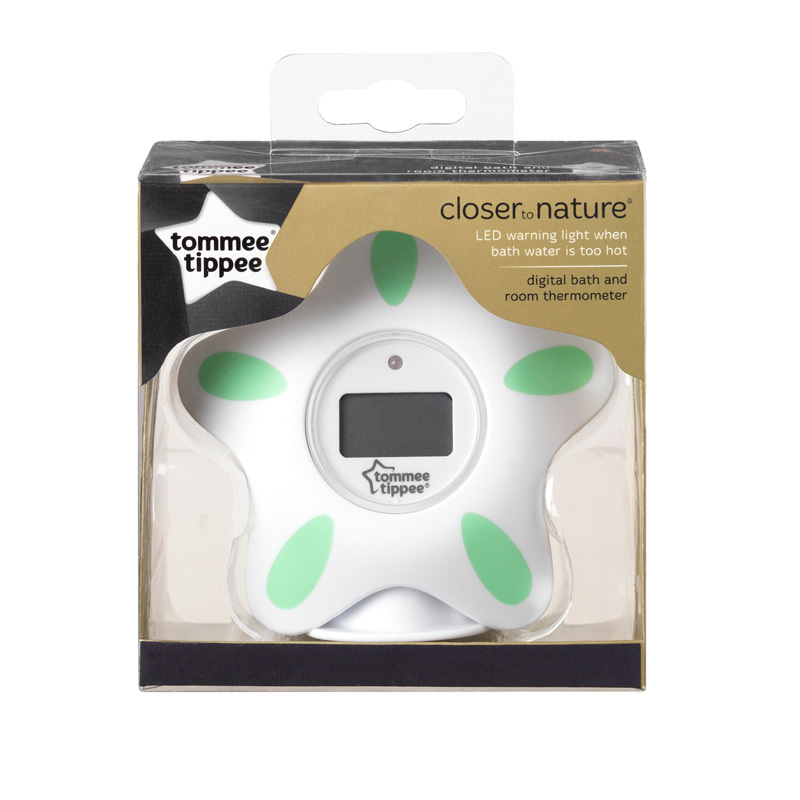 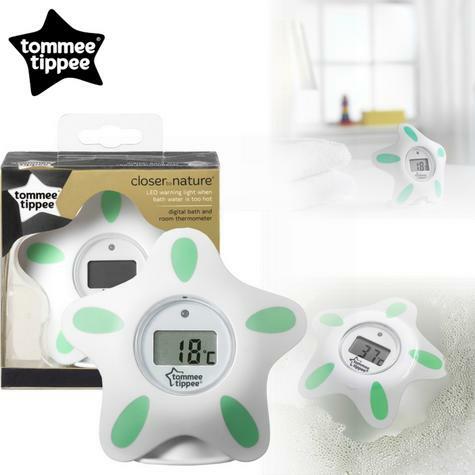 Baby Safe - The Tommee Tippee Closer to Nature Bath Thermometer is BPA free for total reassurance.